For each idiom provided, give the correct meaning. 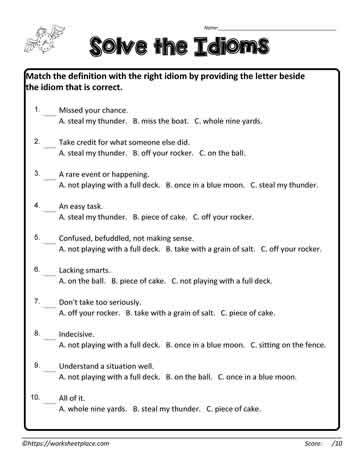 Exercises with answers on idioms for students. Great worksheets on figures of speech for students and for homeschoolers.